Hey Mama! 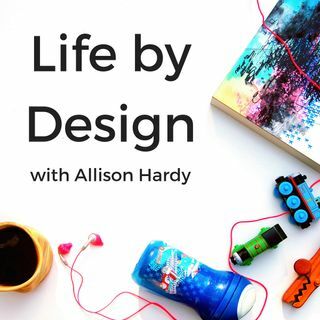 And welcome to episode #102 of the Life by Design Podcast with Allison Hardy. I’m so happy you’re here! You’re going to love today’s interview with author, speaker, and life coach Dena Adams. Having gone through more life changing situations and challenges than she could seem to fathom, Dena Adams, was once again faced with a challenge when she left her accounting business to become an author. Little did she know she was heading down a path that would show her what God had been ... See More preparing her for all this time. Dena thrives in helping mompreneurs overcome what holds them back in life and empowers them to face their future with the drive and passion they deserve so they can achieve their greatness. > One of the things that Dena is really conscious of is how she is perceived on the outside. If she is keeping her business and family as a priority, is she accurately portraying that as a source of inspiration for other mompreneurs? This question is something that she thinks about in every single thing she does in her business. > A debilitating car accident lead Dena down a road of self-discovery to writing her book, but also to creating a dialogue of questions and stories that helped her to understand more about herself and how she was living her life. > A big turning point for Dena was realizing that as a mom and wife, she never gave her mom and wife role all she had, because she never allowed herself to want either. > Personal development turned into a detrimental thing and made her the victim of her circumstances. Her family started pointed out every single thing she was doing wrong, because she told them that was what she wanted. When what was happening was she was becoming the one to be blamed for everything being wrong. Personal development lead her down a road of self-discovery but also a road of hyper-criticism and transferred blame. > If you want your life to change, you have to actually change something in your life.